Herbert House is set on the private, residential development of Tredington Park. 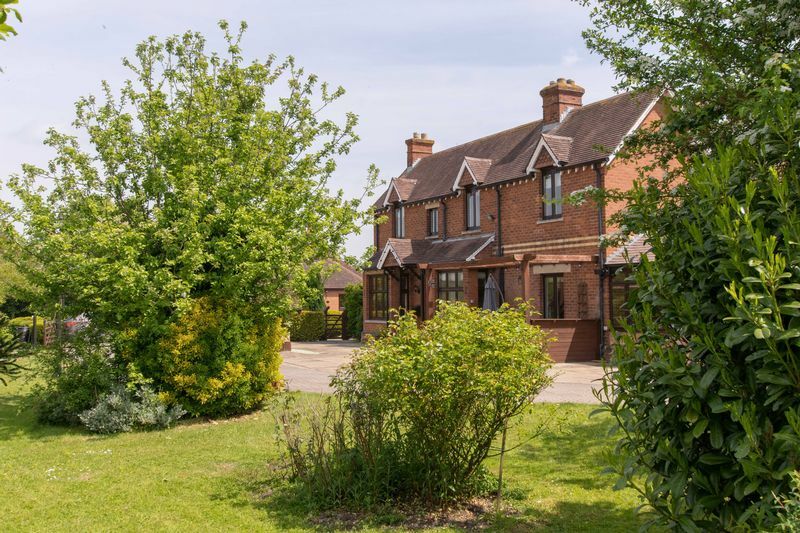 This comfortable period property was formally the Matron’s Quarters to the original hospital building, dating back to the early 1900’s. The whole plot totals 1.67 acres (1 acre paddock) and the house is located at the end of a private, gated driveway, with a marvelous countryside outlook. The property is bright and spacious and the configuration offers versatility for modern family and multi-generational living. It has been updated in part by the current owners and is not listed. 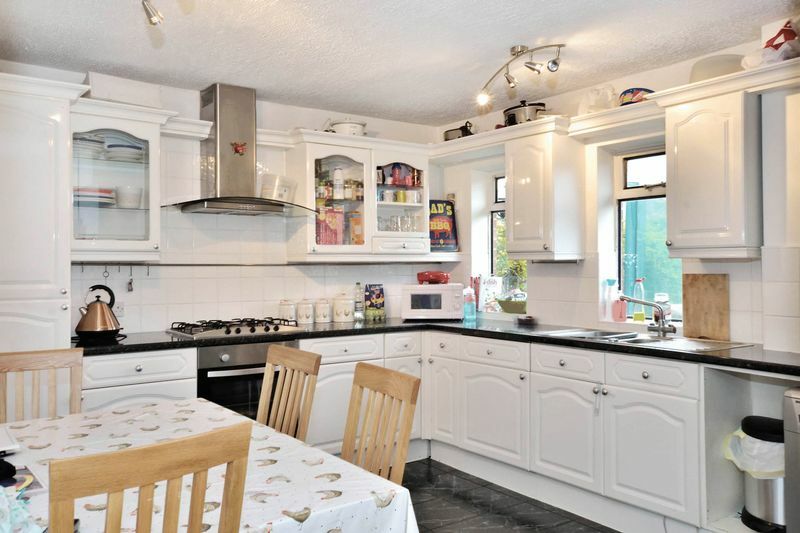 The property benefits from a large link attached 2 bedroom, single storey annex as well as a 3 bedroom stable lodge, in need of some additional updating. 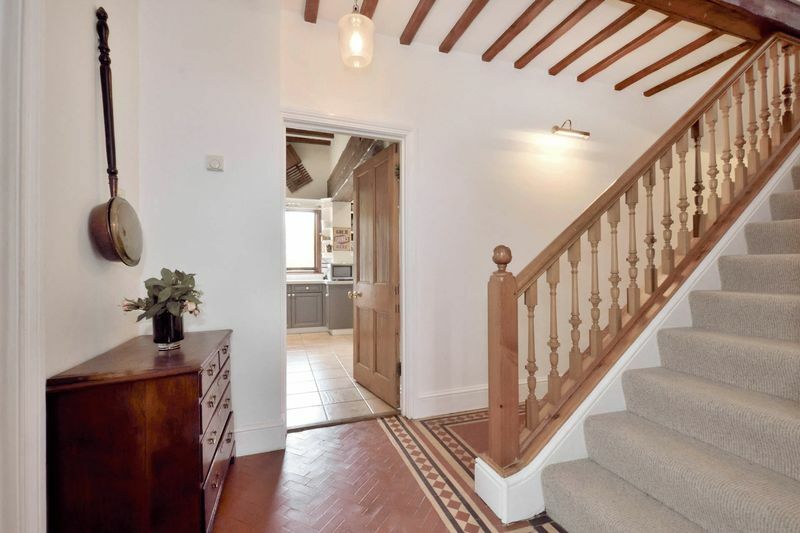 Tredington is a small village in the parish of Stoke Orchard, close to Cheltenham it has a semi-rural feel and benefits from a village primary school rated Ofsted ‘outstanding’, it also allows for easy access to a wider range of secondary and independent schools. In addition it has a 12th Century Church and is within a mile of Sherdons Golf Course and Abbey Dressage Centre. 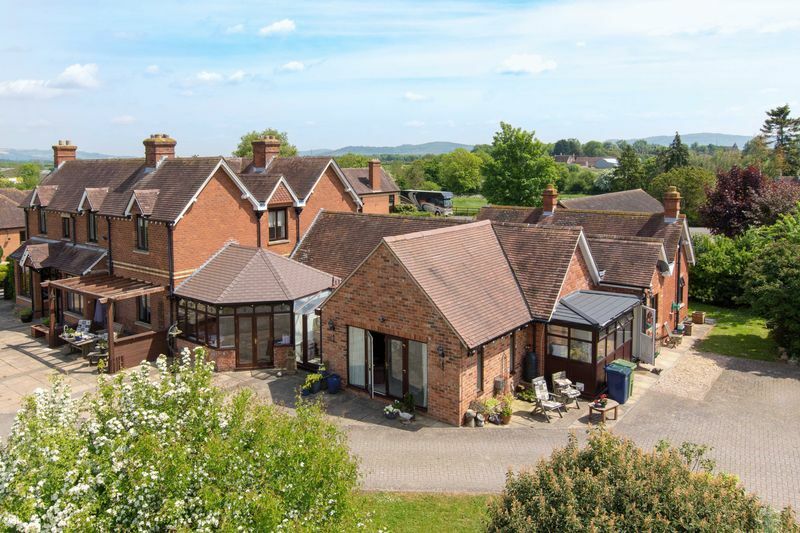 Enjoying excellent transport links, Herbert House benefits from easy access to both the historical town of Tewkesbury (2 miles) and the regency spa town of Cheltenham (6.5 miles), with extensive retail and cultural opportunities. In addition it offers excellent access to the M5 (Jct 9, North & South, approx. 3 miles away). There are direct rail links from Ashchurch, Cheltenham Spa and Gloucester to Birmingham New Street and London Paddington. 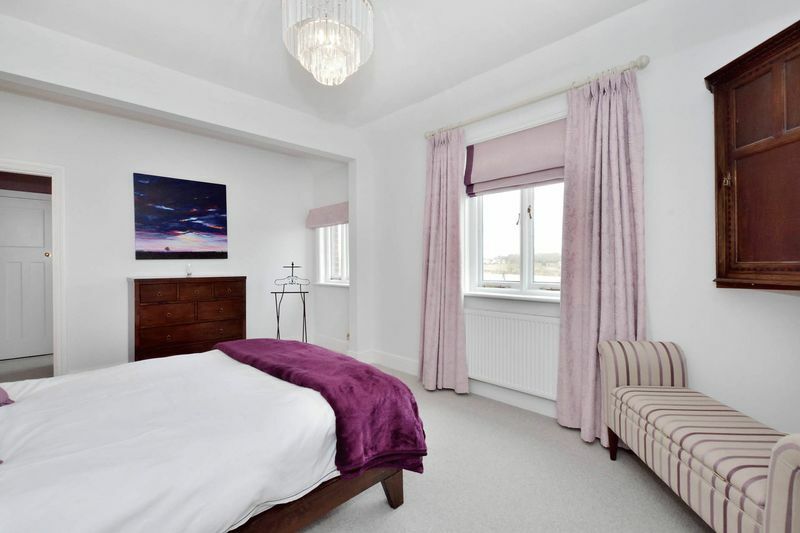 •	4 double bedrooms, master with modern en-suite and fully fitted dressing room, further family bathroom. 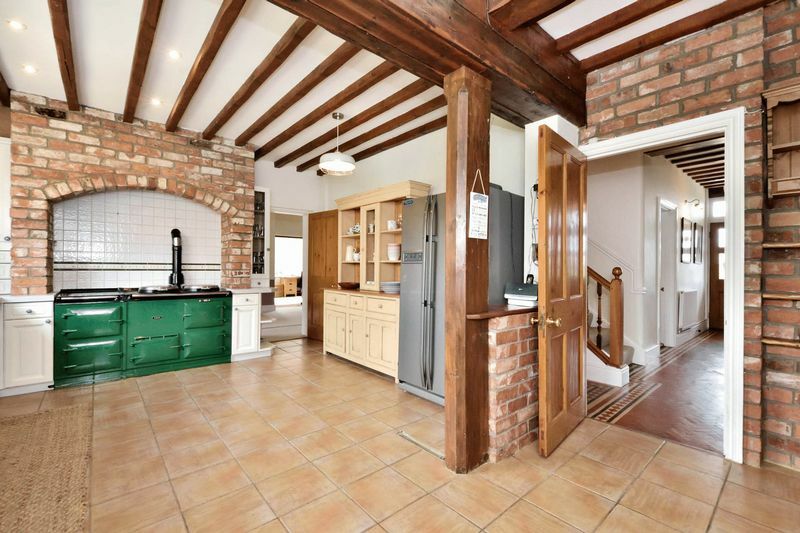 •	Large farmhouse kitchen with 4 door gas aga, walk-in pantry. •	Drawing room with inglenook fireplace, formal dining room with feature fireplace. 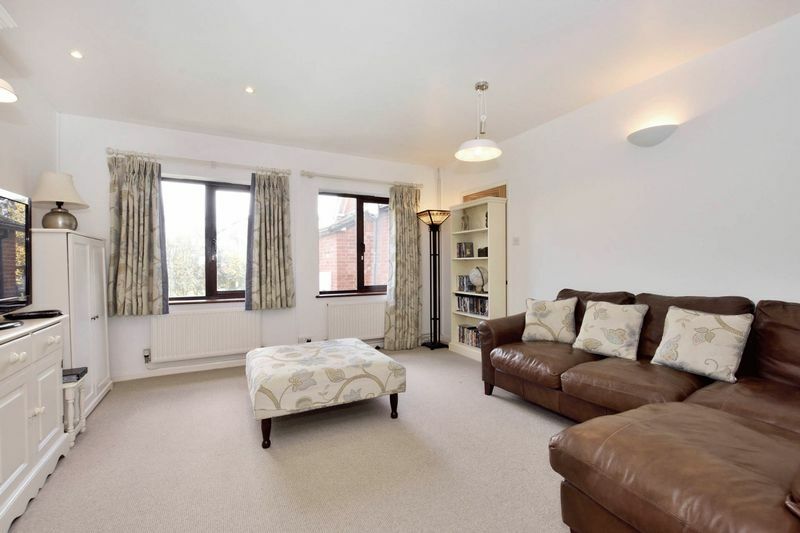 •	Additional reception rooms include; snug, utility room, gym/study, home office and family room. 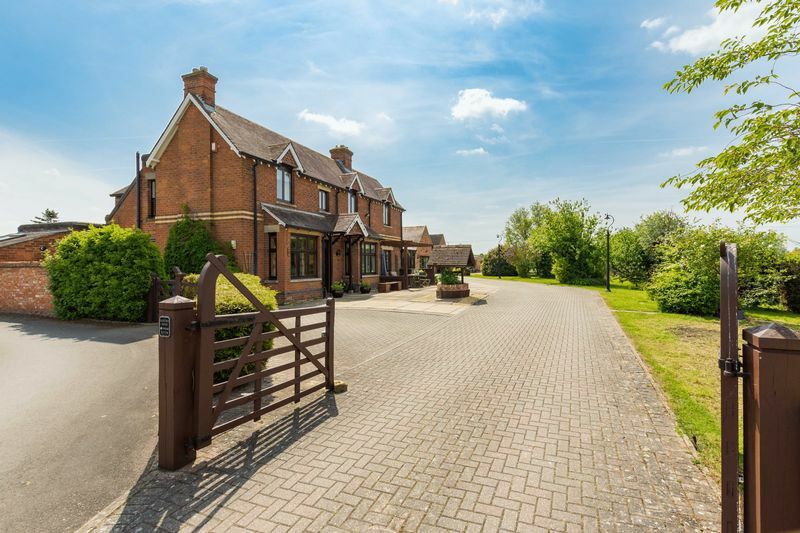 •	Ample parking, 2 brick built stables, 2 x wooden stables (available by separate negotiation), tack room, garden store & garage. •	The plot totals approx. 1.67 acres, with a 1 acre paddock. 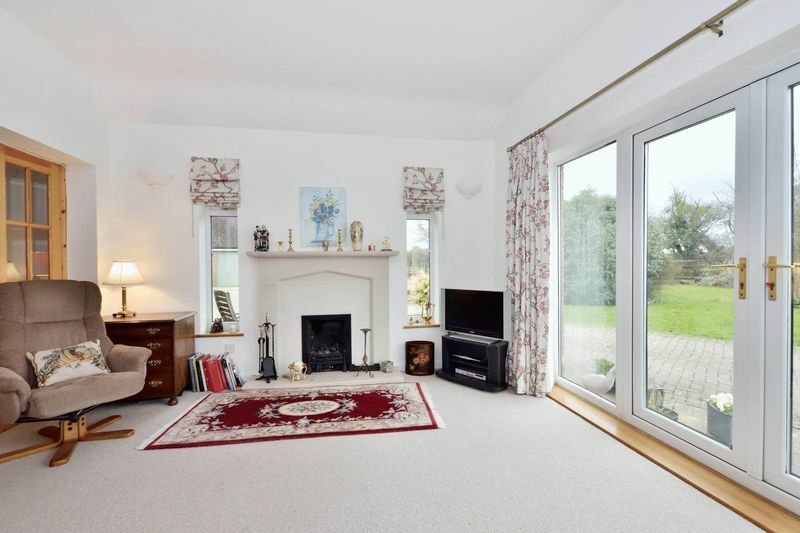 •	Sitting Room with fireplace and French doors leading to patio area. 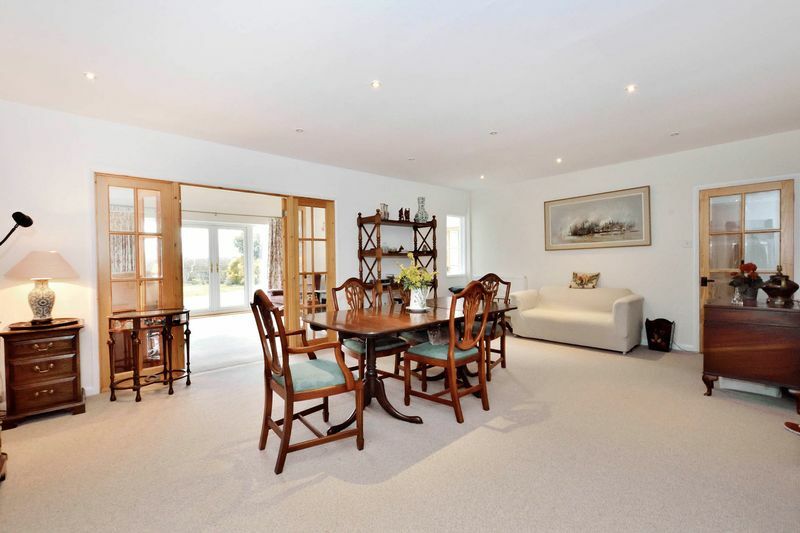 •	Spacious dining area, leading to modern open plan kitchen. 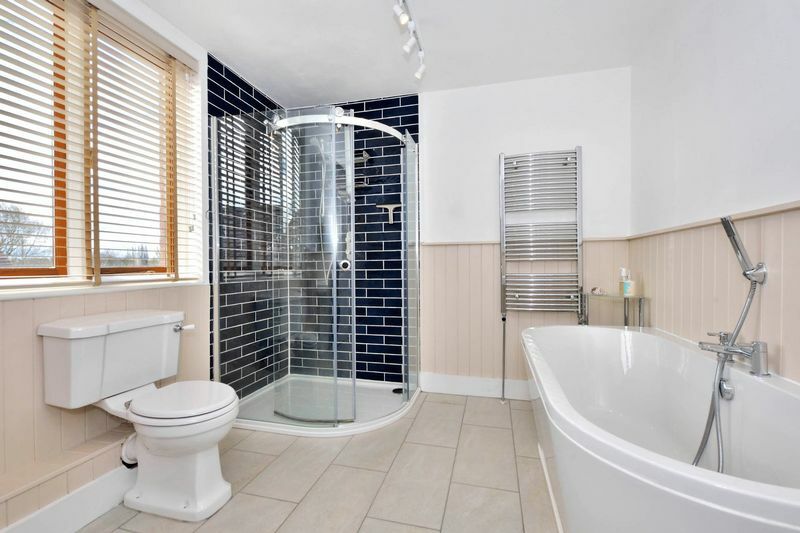 •	2 double bedrooms, master with en-suite shower and ample storage. •	Main bathroom with bath and separate shower cubicle. •	Small, private garden to the rear. Entrance – the property is approached via a wooden gate leading on to a sweeping private driveway, framed by a lawn to the right, with mature shrubs and bushes and a hard standing, with patio area to the left. You enter Herbert House through a large wooden door with stained glass window lights. 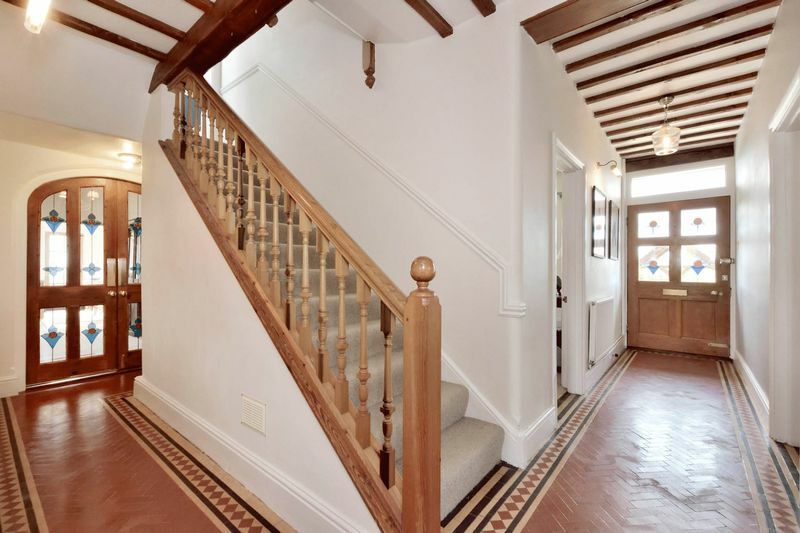 Hallway – A light and welcoming L shaped entrance hall, enhanced by original quarry tiled floors and high ceilings, typical of the period. 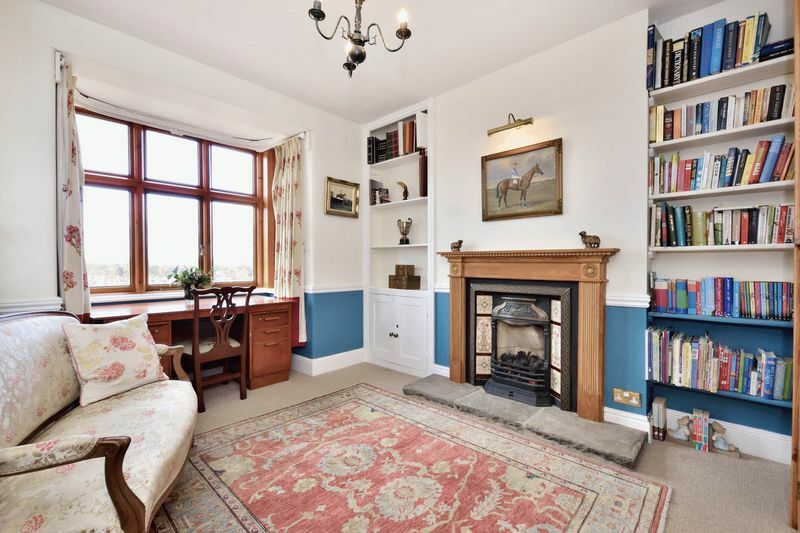 Snug/Library – To the left of the hallway the snug offers a cosy and bright space with a beautiful bay window. The gas effect fire is tastefully surrounded by a Victorian style wooden mantle, tiled surround and stone hearth. Fitted bookshelves and a beautiful wooden unit with leaded glass panels give an athenaeum feel to the room. Cloakroom - A practical space off the hallway, large enough for shoes, coats and outdoor equipment with wood paneled walls and attractive wood flooring. 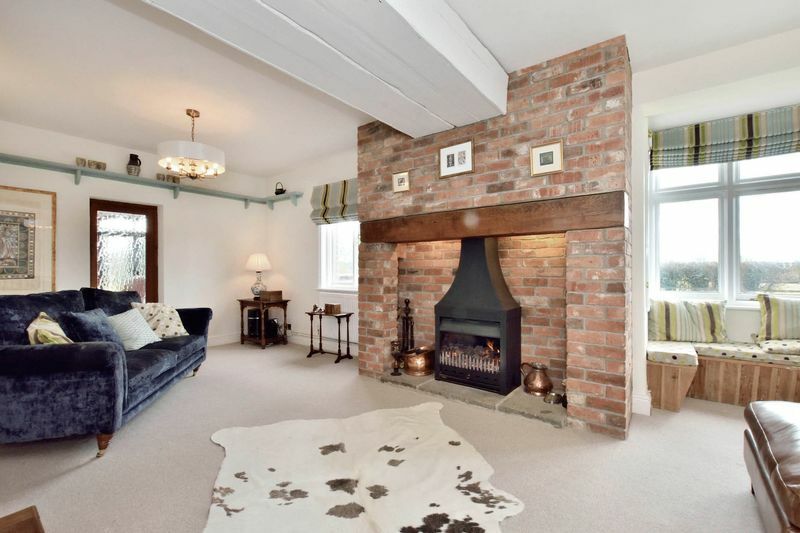 Sitting Room – Situated to the right of the hallway, the centre piece of this handsome room is the brick built inglenook fireplace with wooden beamed mantle. Windows either side of the fireplace allow light to flood into the room and the bay to the right includes a charming window seat. 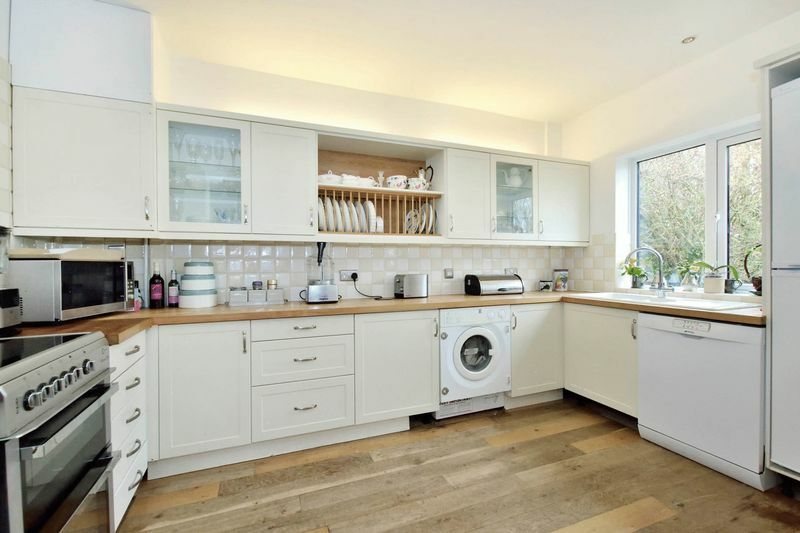 Kitchen – The generous farmhouse kitchen offers plenty of storage units with granite composite worktops and a wonderful exposed brick arch housing a 4 door gas aga. 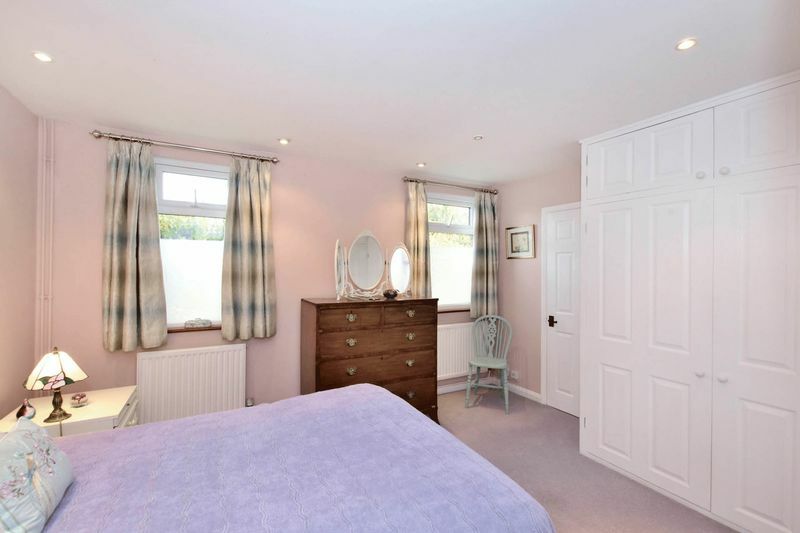 The room is bright, practical and looks out to the rear garden. 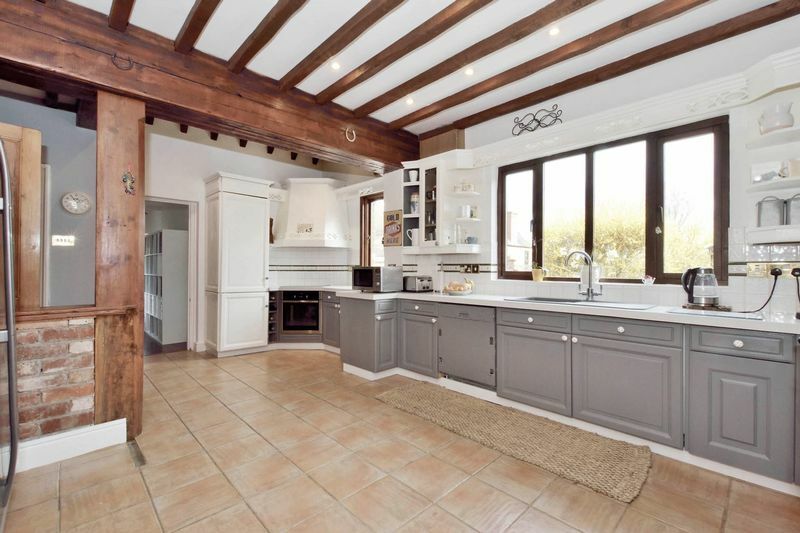 In addition it benefits from a large walk-in pantry. 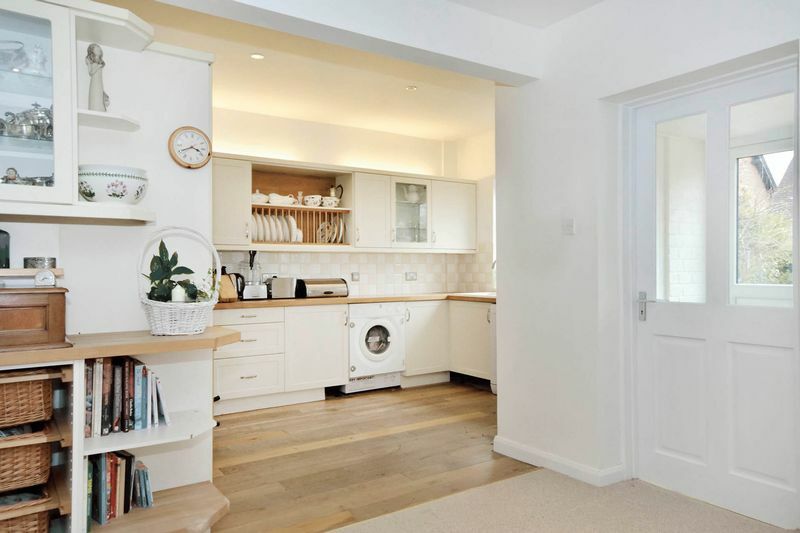 A door to the left of the kitchen leads on to a boot room/rear hallway and well-equipped utility room. 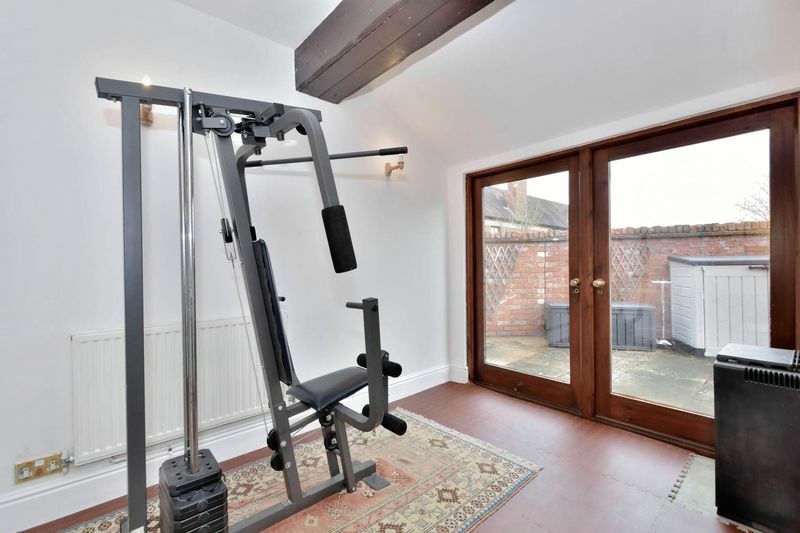 Gym/Study – A small room off the rear hallway offers an ideal space for a home gym or study area, with large patio doors leading to the rear garden. 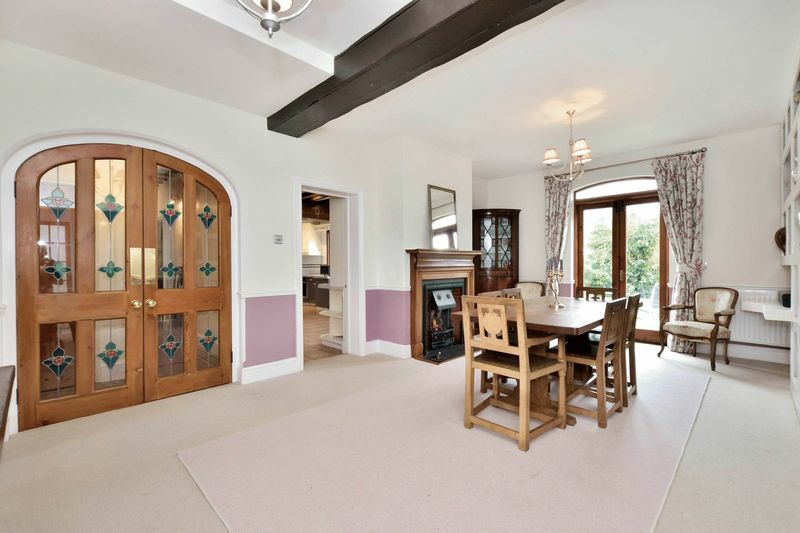 Dining Room – Doors from the Kitchen and Drawing Room lead to a formal dining room, a bright, spacious area with extensive wooden display unit, a further gas fire with feature fireplace and slate hearth. French doors lead to the private rear garden. 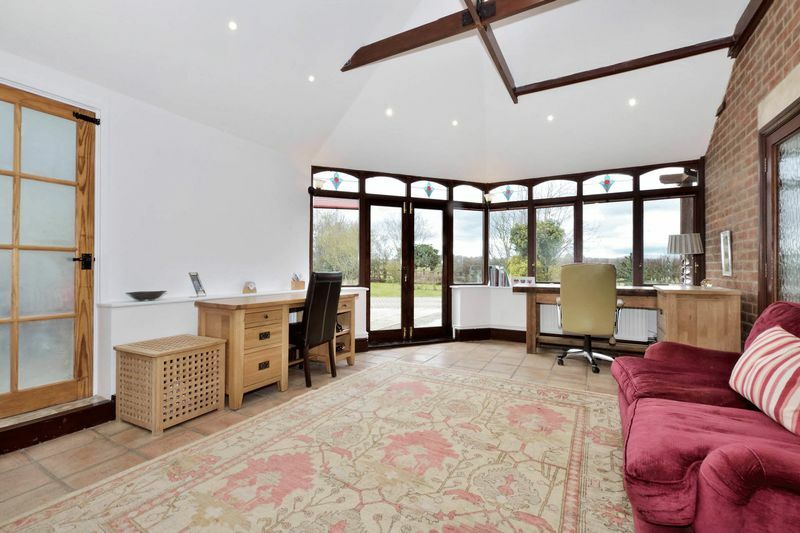 Home Office – Leading on from the dining area is an extension to the main house, which could easily be used as a garden room and currently functions as a well equipped home office, with double patio doors leading out to the front of the property and a glazed opaque door leading to the adjoining annex. 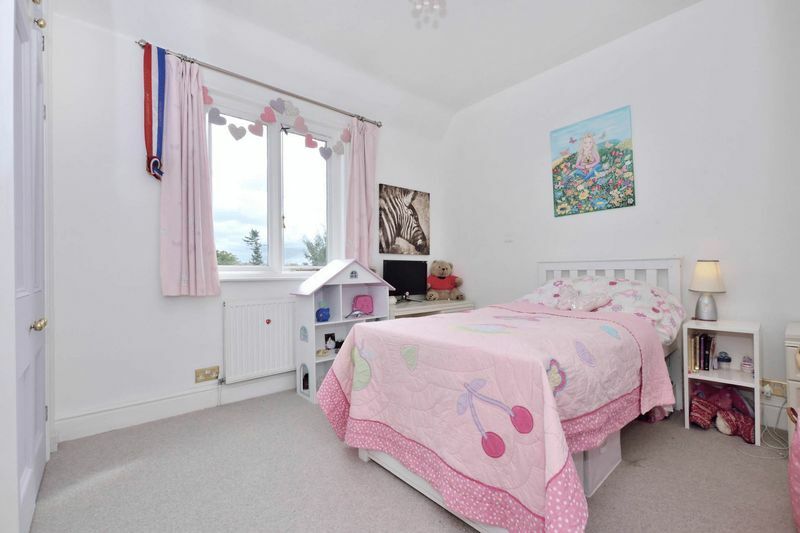 Family Room/Bedroom 5 – An inviting space to relax with family, a playroom for younger children, or an additional bedroom. 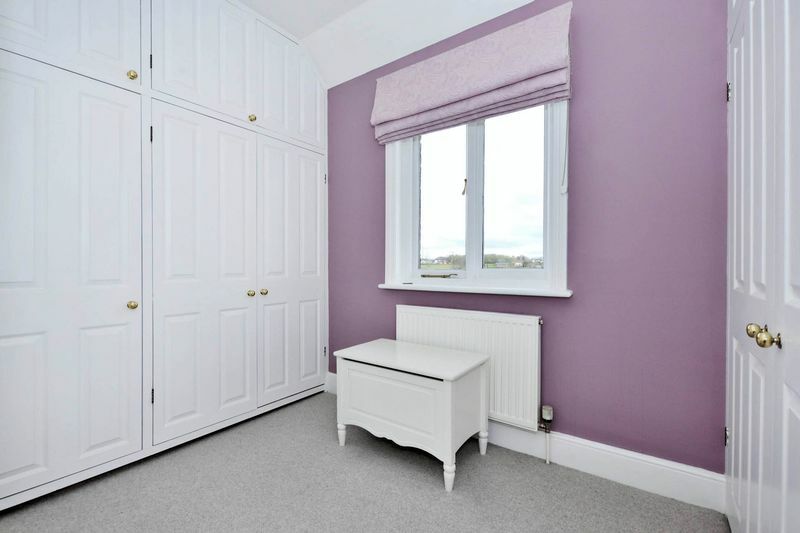 This bright and cosy room has a door leading to the entrance hallway of the adjoining annex. 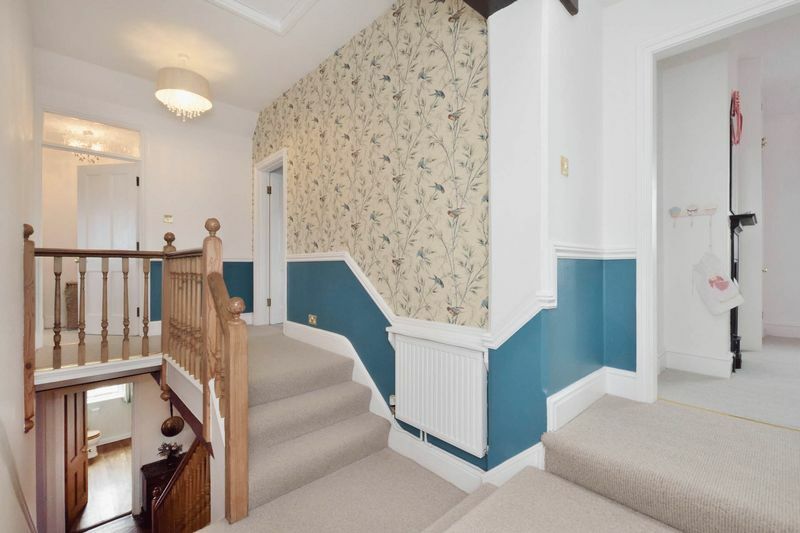 From the entrance hall a stairway leads to the first floor landing, tastefully decorated with a velux ceiling light and traditional dado rail, a further set of steps takes you to a second landing, leading to the master bedroom. Master Suite – In addition to a beautifully spacious room with feature fireplace, two windows allow light to flood in, giving stunning Westerly views to the Malvern Hills. 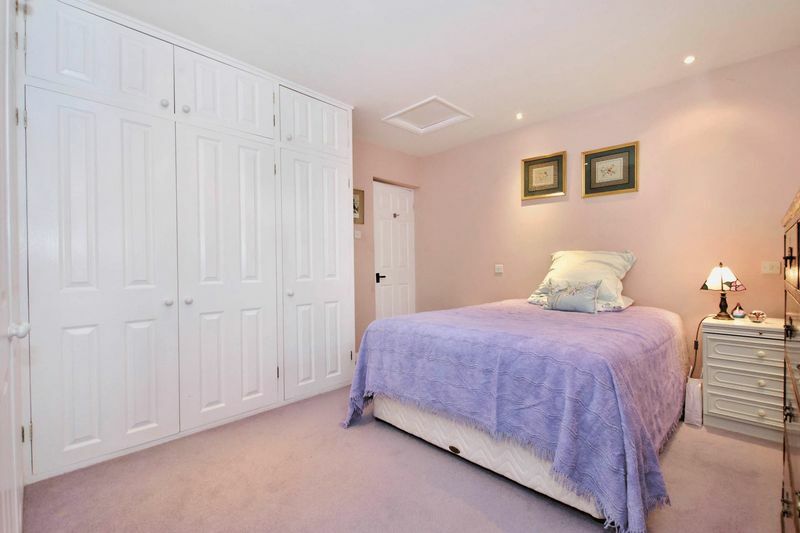 The master bedroom enjoys all the comforts of a large dressing room with an abundance of wardrobe space. 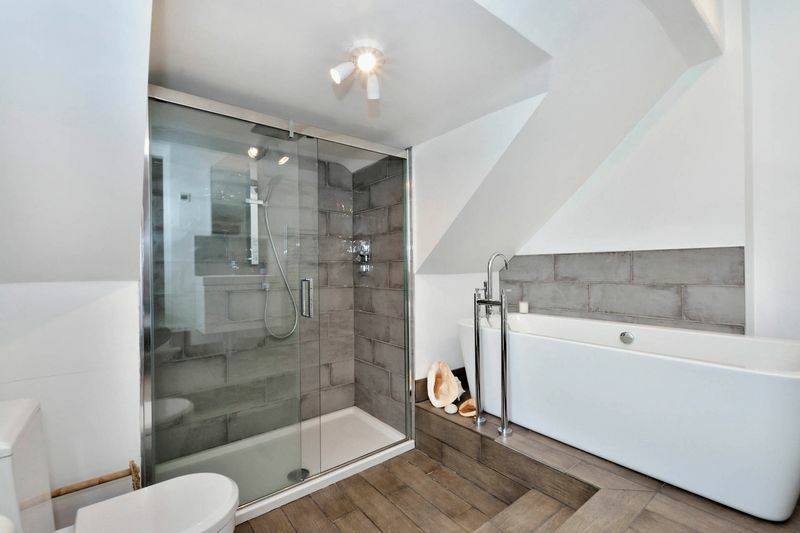 In addition, steps down lead to a sumptuous en-suite with separate double shower unit with rainfall shower head, molded bath and featured mixer tap. 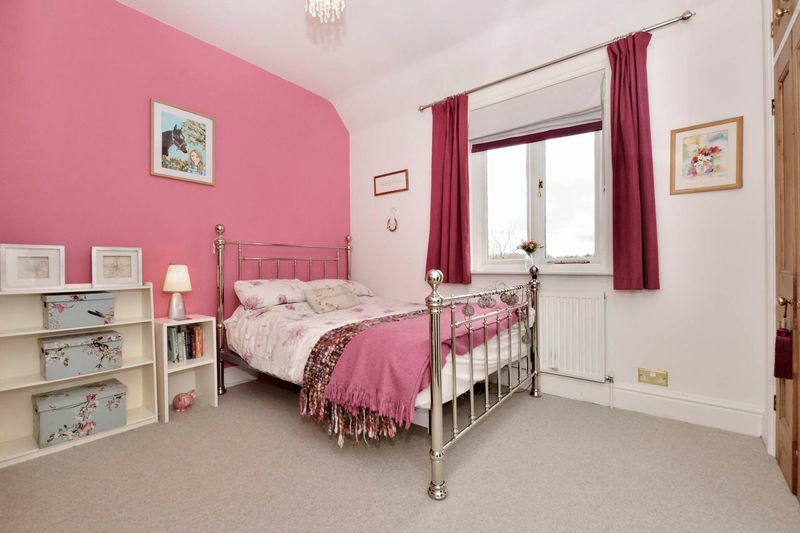 Bedroom 2 – Overlooking the rear of the property with wonderful views over the old cottage hospital and distant Cleeve Hill this double room with feature fireplace and fitted wardrobe is enhanced by high ceilings giving a light and spacious feel. 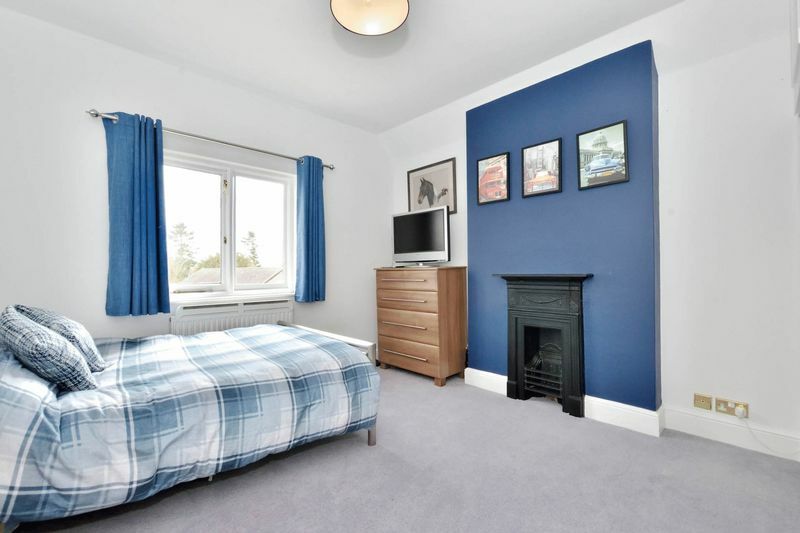 Bedrooms 3 & 4 – Leading off the half landing both double bedrooms are bright with pleasant countryside outlooks and benefit from fitted wardrobes and feature fireplaces. 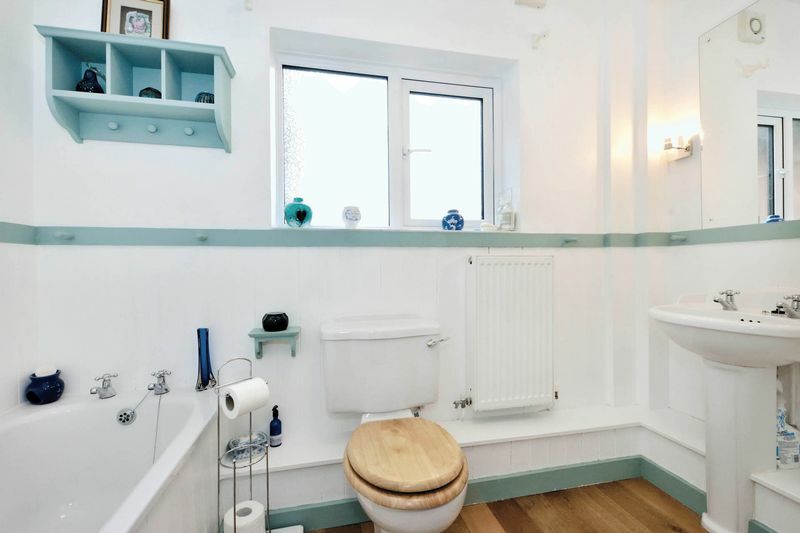 Family Bathroom – The newly fitted family bathroom is modern and bright, with painted wood paneling to the bottom half of the walls, a large rounded shower unit and generously sized separate bath with shower hose attachment. 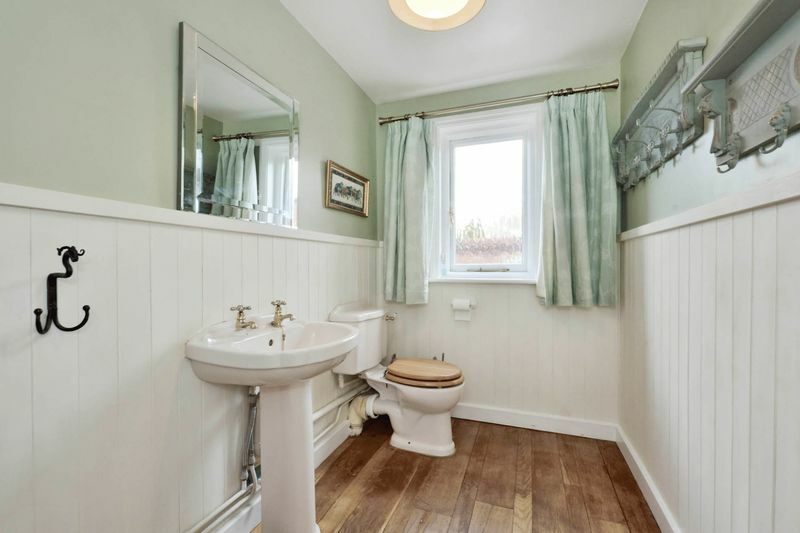 The Victorian style sink and taps enhance the characteristics of the property. Entrance – The annex benefits from its own entrance and can also be accessed from two areas of the main house. It offers an abundance of space for extended family, dependent relatives or perhaps guest accommodation. 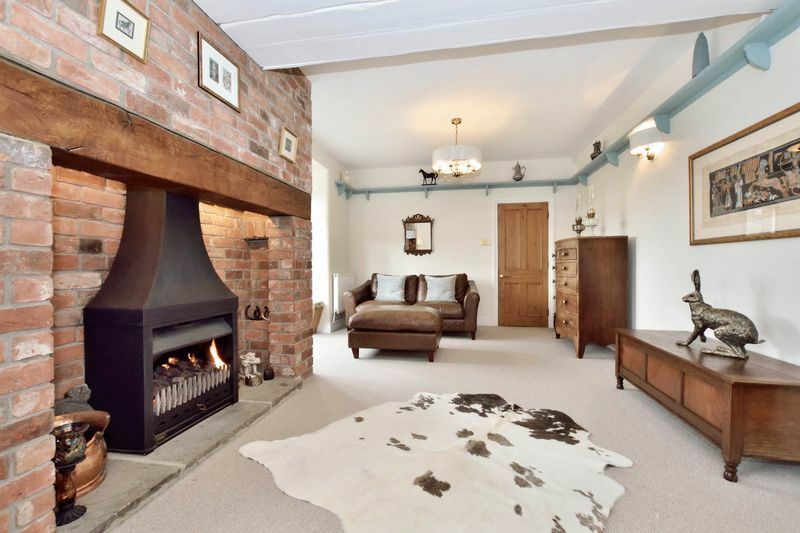 Completely self contained, it benefits from a bright sitting room with French door leading out to the front of the property and a gas fire with Cotswold stone style surround, mantle and hearth. 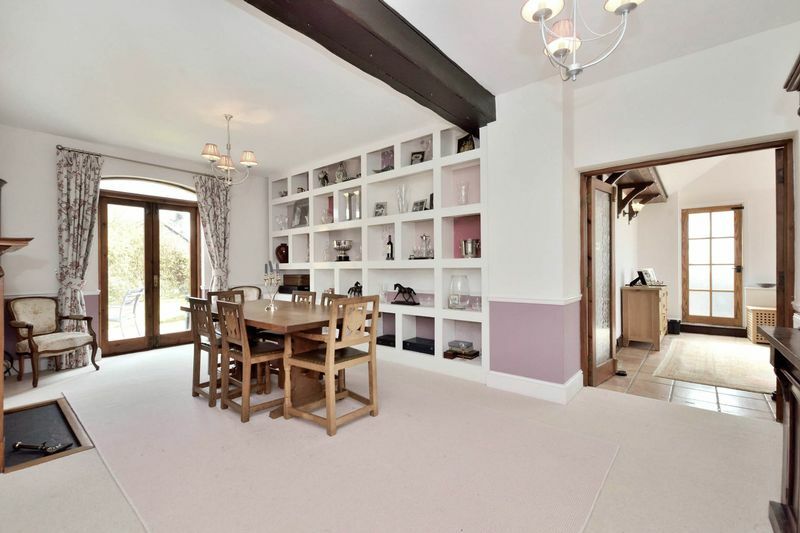 The Dining Room offers an abundance of space and leads on to a modern open plan kitchen with plenty of cupboards and storage, tasteful wooden worktops and wood paneled flooring. The annex has the advantage of a utility/boot room with further units and space for an American style fridge. 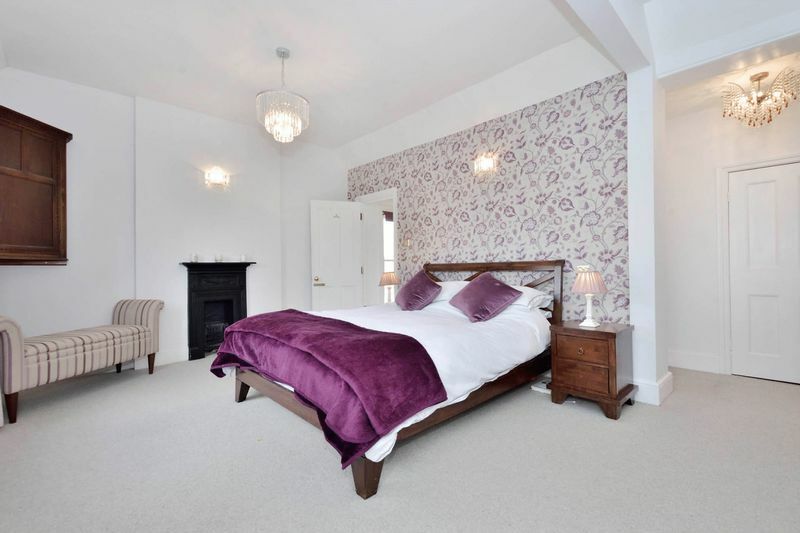 The master bedroom offers a large amount of storage and an en-suite shower room. 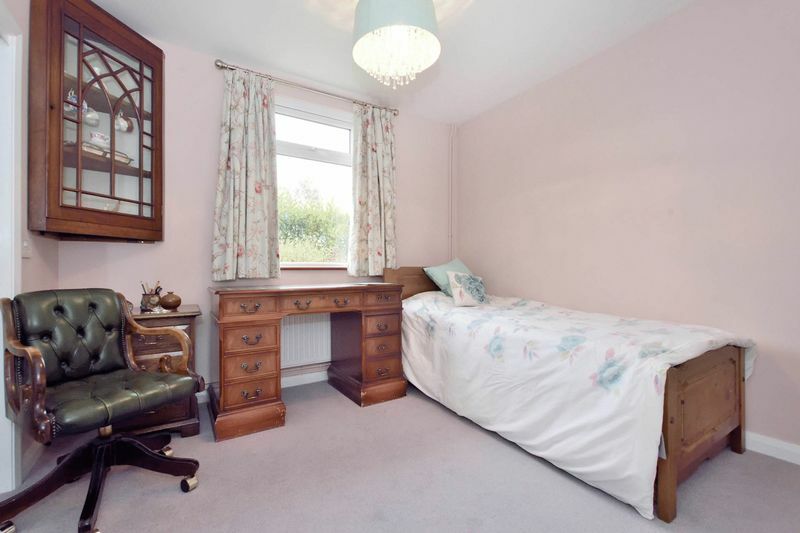 The second bedroom, also a double, has further storage and both have windows looking out to the private garden. In addition to the en-suite, the main bathroom benefits from a separate shower and bath, with wood paneled walls and flooring. 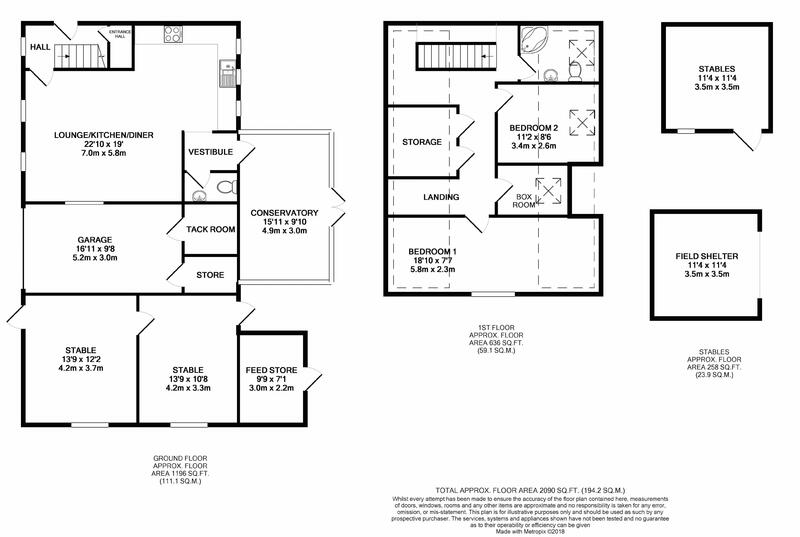 The annex is fitted with UPVC double-glazing throughout, central heating and has its own Council Tax (Band A). It has a private garden to the rear, greenhouse and gate leading through to the garden of the main house. In addition a charming lodge with plenty of opportunity to extend (subject to planning) is located next to the stable block. 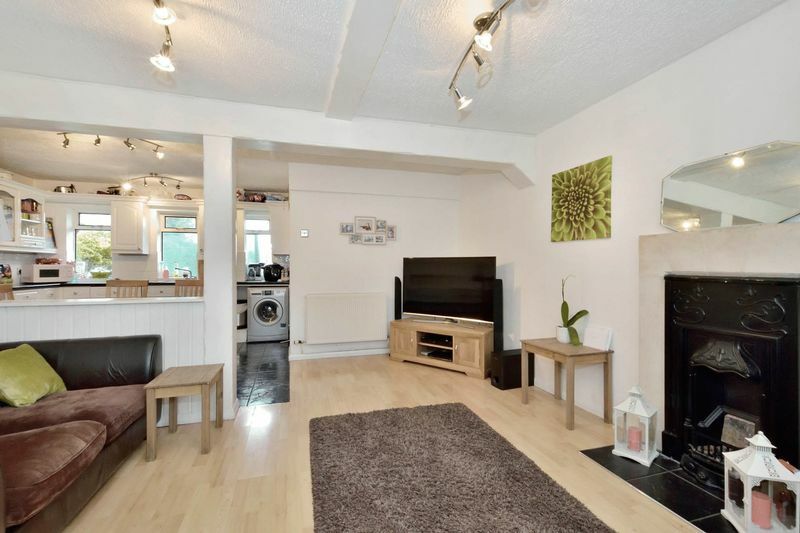 Ideal as extra guest accommodation or as an income stream (currently rented out by the owners) the property has its own Council Tax (Band A) and achieves approx. 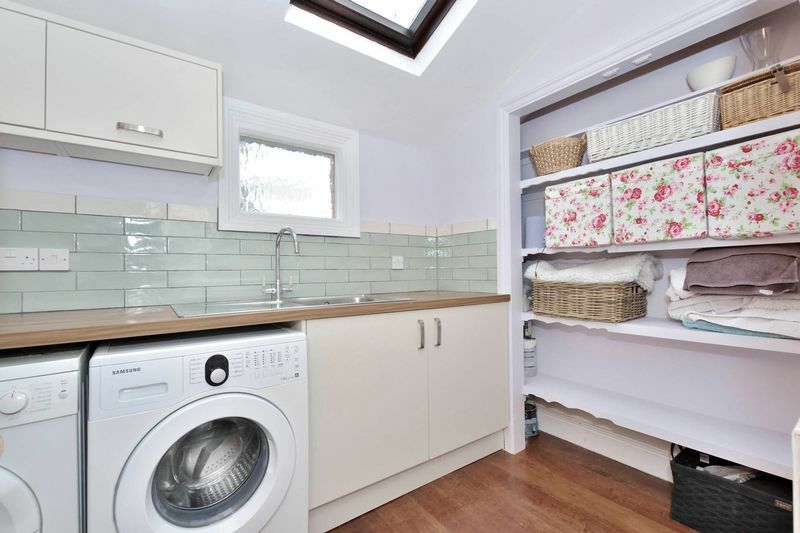 between £775 - £875 PCM). Although the lodge has been renovated over the years, the lodge would benefit from further updating and adapting especially if being utilized by the older generation. 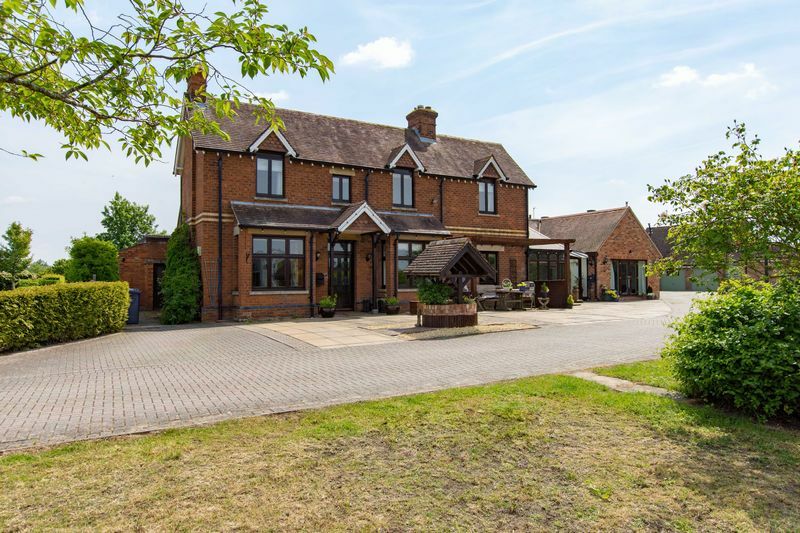 The accommodation included a generous sitting room, kitchen / dining room, good size South facing conservatory and garden (overlooking the paddock), utility and 2 double bedrooms, 1 single and a bathroom upstairs. 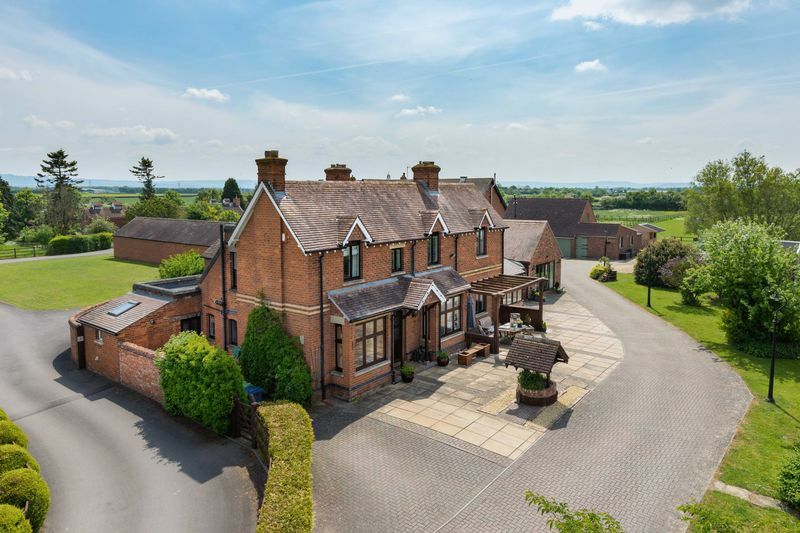 Herbert House sits in a 1.67 acre plot enjoying views to the West over open farmland. 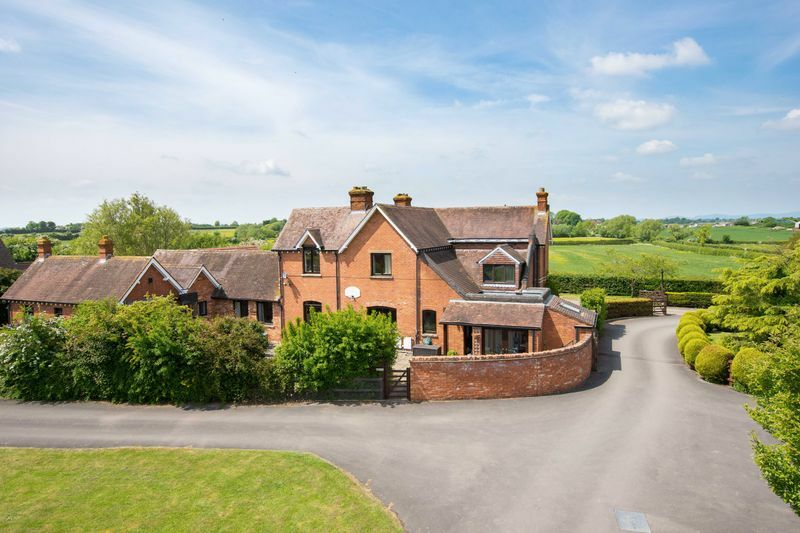 The property has a private driveway, gardens and a 1 acre paddock. It enjoys the benefits of a communal lawn and grounds, as well as extra parking for additional vehicles or guests. 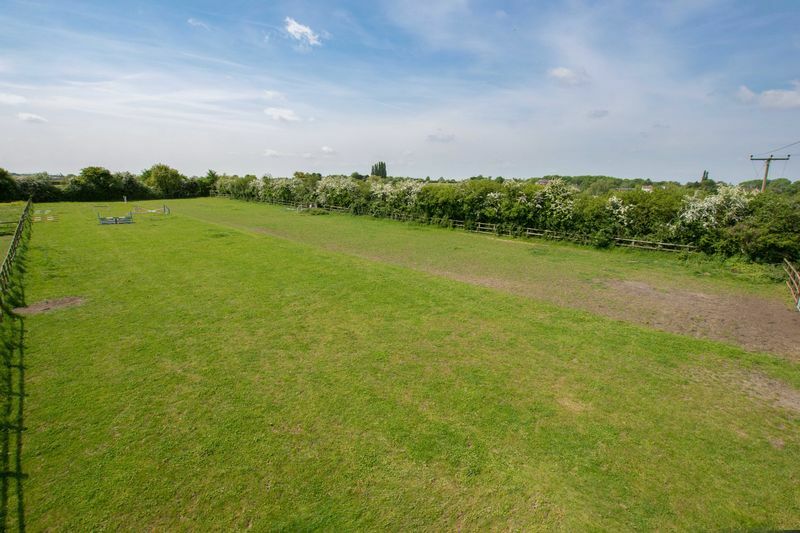 The paddock is secured with a post and rail fence, it would suit a pony and would be ideal for a smallholding. The garden to the main house is situated to the rear of the property with an attractive wall to the side and fencing with mature hedges and shrubs, small lawn area and patio. 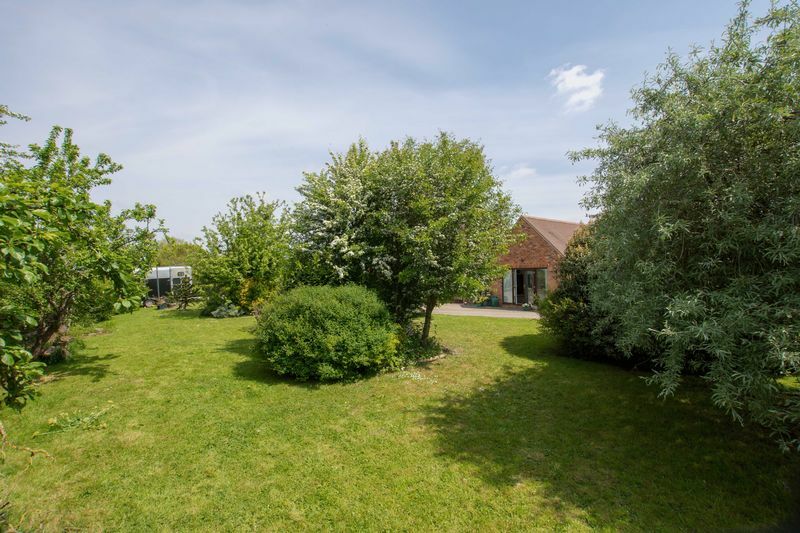 Finally, with 2 brick built stables and 2 wooden stables (available at separate negotiation) a large garage / store, with water and sink facilities, tack room and garden store, there is ample outside space and great opportunities for country living. It is relevant to say that in addition to its own private gardens, the property enjoys the use of a communal green (to the rear) and additional large parking area. Both the annex and Stable Cottage have their own private gardens. Leaving Cheltenham from the Tewkesbury Road (A4019), passing through Uckington and Knightsbridge. At the Coombe Hill traffic lights, turn right into A38 signposted to Tewkesbury. Proceed over the first set of traffic lights and at the next set, turn right by the Odessa public house, signposted to Tredington. After approximately 400 yards, the drive to Tredington Park is on the right, indicated by our For Sale board.